We all acknowledge the importance of feedback – a crucial element in learning, that it facilitates one’s understanding of their own work, prompts reflection and provides pointers for further improvement. Despite the consensus of feedback being beneficial, an important question to ask is whether what we do is adequate and effective. What constitutes effective feedback, and how can we choose the right feedback to suit different contexts? In the Feedback for Learning Symposium, teachers from different faculties share their insights and experience in designing feedback mechanisms to improve students’ learning. 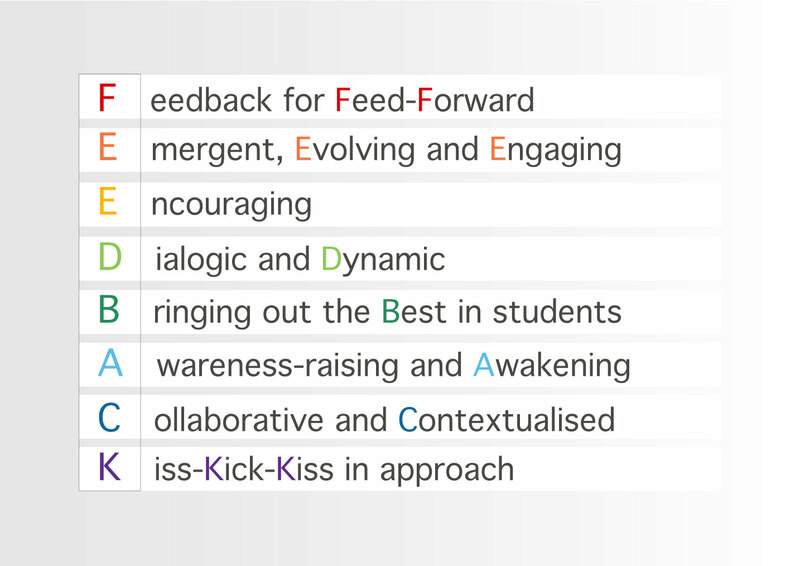 Feedback can take many different forms, but the crux of feedback is to facilitate students’ learning capabilities, strategies and development, as emphasized by Professor David Carless of the Faculty of Education. In the above picture, Ms Nicole Tavares, also of the Faculty of Education, sums up the characteristics of good feedback. Ultimately, for feedback to make an impact, it has to be accountable, advancing, and most importantly, actionable. As explicated by Professor Ricky Kwok, Associate-Vice President of HKU (Teaching and Learning), feedback should be accountable so that both teachers and students can measure its effectiveness. Furthermore, feedback should enable students to take their learning progress to the next level. Last but not least, feedback by a teacher is only actionable when the receiving student is able to take direct actions based on it, making it practical and impactful. Final feedback on an assignment submitted together with a mark or grade. In addition, they also highlighted that feedback is of greater value if it were provided when the student is still in the process of doing an assignment, in form of further guiding prompts, directions or even motivation from the teacher, which are instrumental in helping them overcome the challenges in learning. Professor David Carless and the Student Panel. 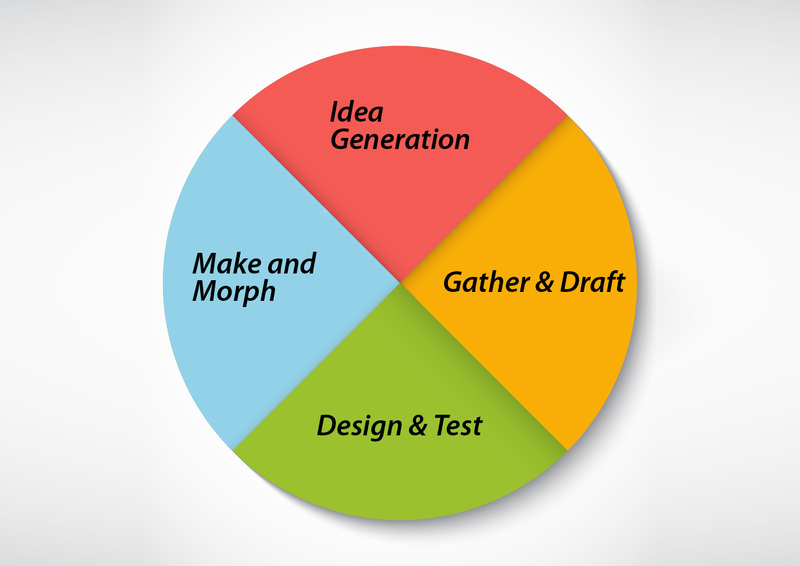 In general, students find simply knowing “what” is right or wrong with their work inadequate, and push for the reasons “why” and methods of “how” their work can be improved under their teachers’ guidance. In response to these issues raised by the students, Professor Carless says that feedback processes should be more practical and student-friendly in order to avoid misunderstandings between teachers and students. This dialogic writing helps finding out which aspects of feedback does a student want and needs help in. This also helps students reflect on the strengths and weaknesses of their submitted assignments. Furthermore, this reveals what kind of feedback that students received in the past helped improve the current assignment. However, Professor Carless also points out the challenges he faced. For instance, more often than not students are not certain about what kind of feedback they need, and some are reluctant to reveal their own weaknesses. In response, Professor Carless helps students identify and explain them using assessment rubrics and criteria in detail. Dr. Pan agrees that feedback bridges communication between students and teachers, and this helps guiding students through every stage in a project. She also emphasizes the nature of feedback should be nurturing, but not hostile or makes students feel nervous. Dr. Kennedy Chan, who teaches pre-service teachers, proposes the use of exit slips at presentations to enhance students’ self-reflective skills, which help formulate their own teaching philosophies. The main concern in developing effective reflection among pre-service teachers is that they tend to produce self-speculations that are often too descriptive or superficial. Therefore, Dr. Kennedy Chan intended to a) provide timely and personalized written feedback on students’ reflections, b) expose them to multiple perspectives of their work, c) compare and contrast works to define a quality reflection and d) self-evaluate their learning progress. The process involved students writing a reflection after each session, which the teacher gives feedback on, and selecting the best one as an exemplar to discuss further in class. 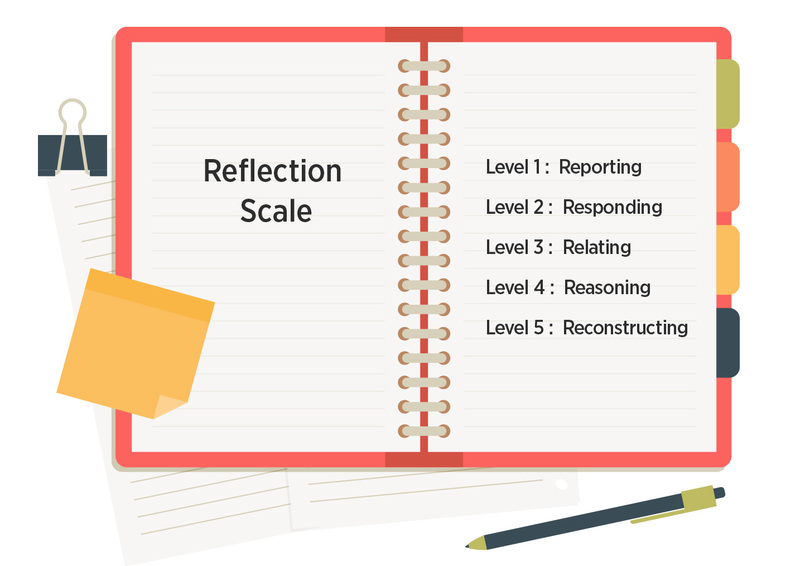 Student reflections are assessed based on a reflection scale. The process is finalized after 12 sessions, where students select their top 3 reflections they have produced. They are also required to self-evaluate their own reflections based on the same reflection scale. Dr. Chan also motivates students to submit reflections on Moodle for peer feedback. He believes these practices can help foster students’ thinking and their sense making feedback effectively. Follow #HKUFeedback on Twitter to check out more event details! Don’t hesitate to Contact us if you are interested in collaborating with us to enhance teaching and learning at the University!